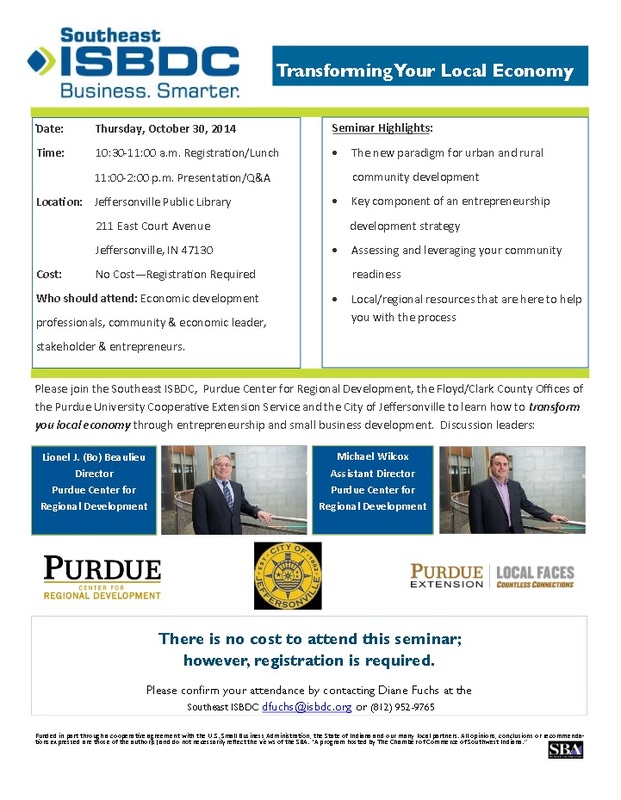 Please join the Southeast ISBDC, Purdue Center for Regional Development, the Floyd/Clark County Offices of the Purdue University Cooperative Extension Service and the City of Jeffersonville to learn how to transform your local economy through entrepreneurship and small business development. Discussion leaders with the Purdue Center for Regional Development are Lionel J. (Bo) Beaulieu and Michael Wilcox. There is no cost to attend this seminar, however, registration is required.